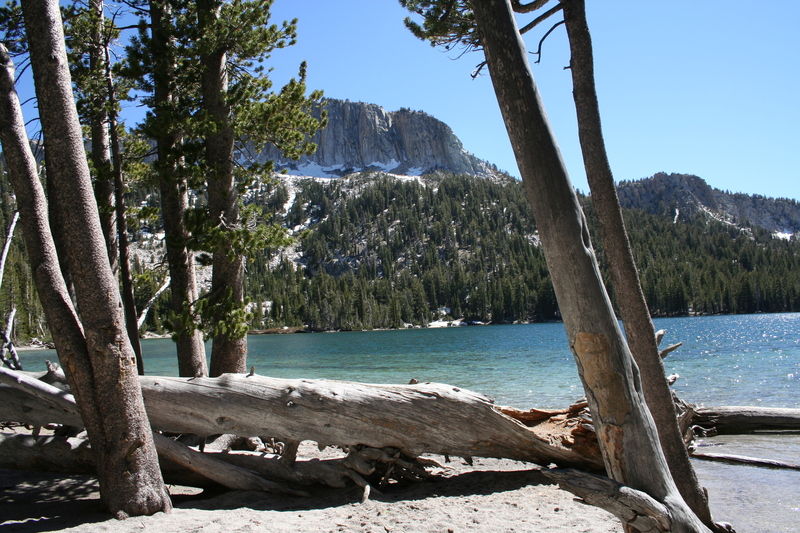 Browse: Home / Inyo National Forest: McLeod Lake Loop less than 2 miles – 1025 ft. 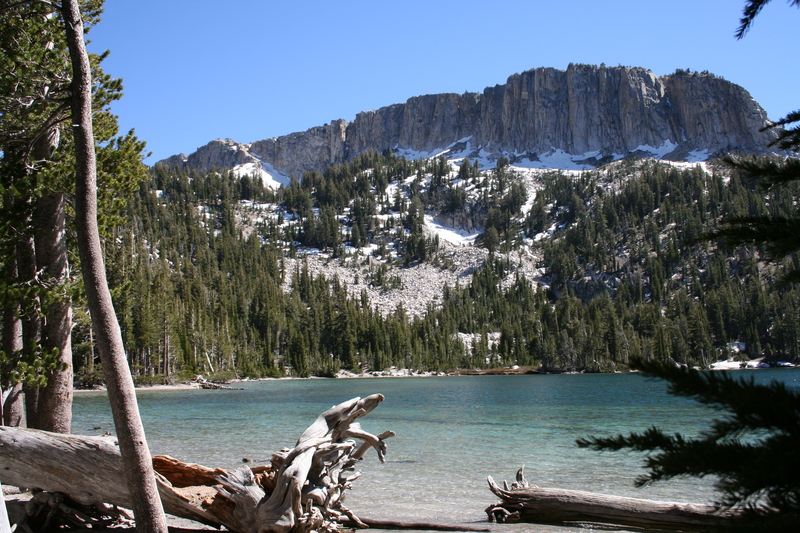 The Mammoth high country in the Eastern Sierras (just to the east of Yosemite) offers great camping and hiking away from the national park crowds. 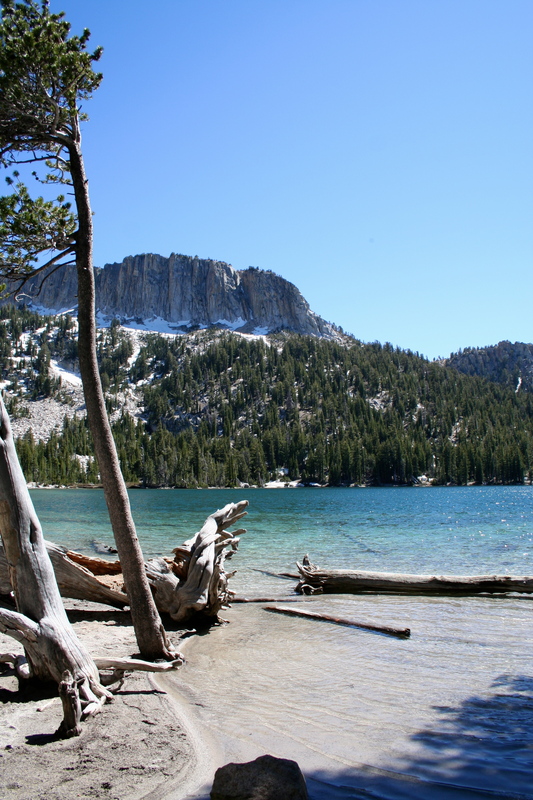 This easy hike southwest of the winter ski town of Mammoth Lakes gives you a taste of what the high Sierras have to offer – pristine lakes, amazing oft-snowcapped mountain peaks and jagged rock outcroppings. 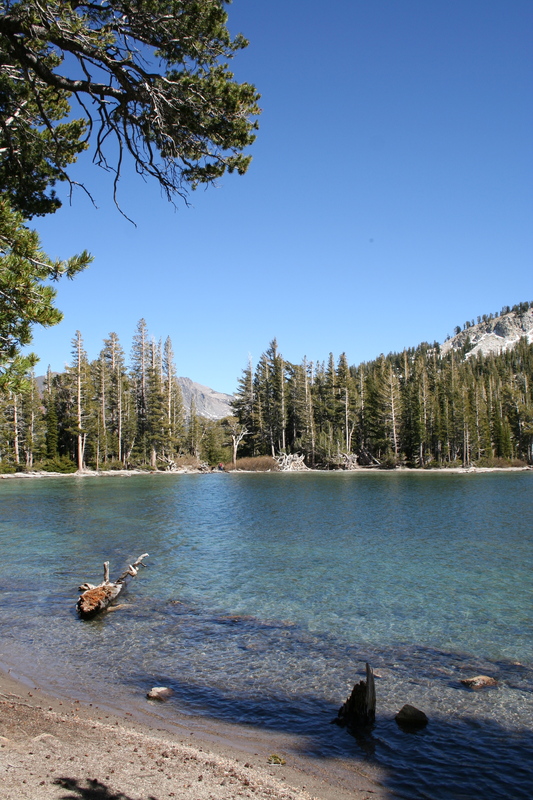 The hike starts where Route 203/Lake Mary Road ends at Horseshoe Lake in the Inyo National Forest. 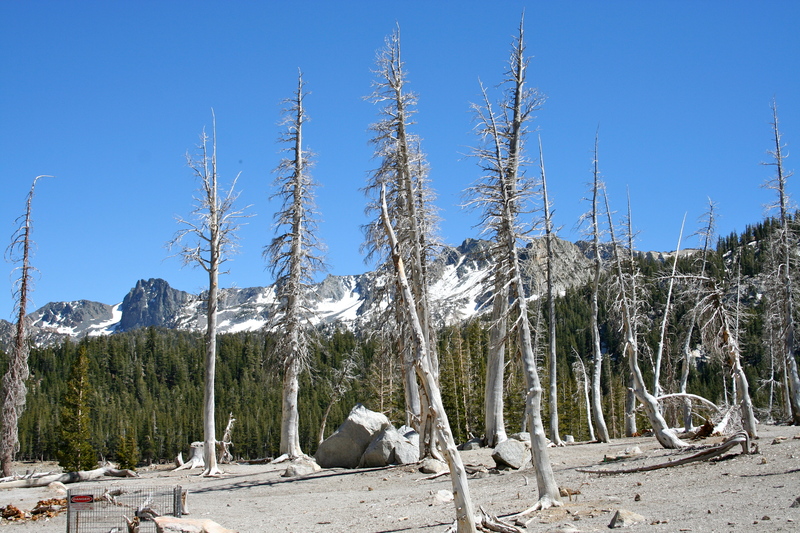 You’ll ascend through a ghostly forest of white, barren trees killed by carbon dioxide emanating from the earth beneath into the subalpine forest to your destination of McLeod Lake. 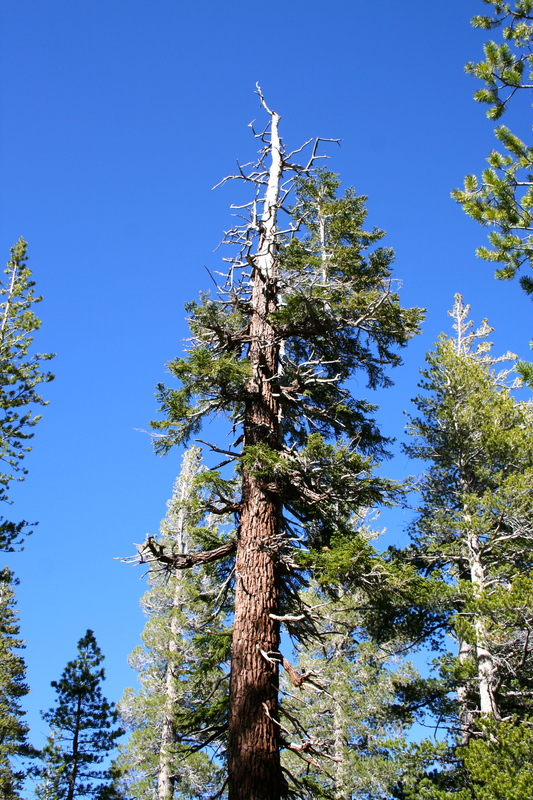 After spending some time at the lake with the local dog owners and their very happy canines, you’ll climb a little higher before descending back to the parking lot. 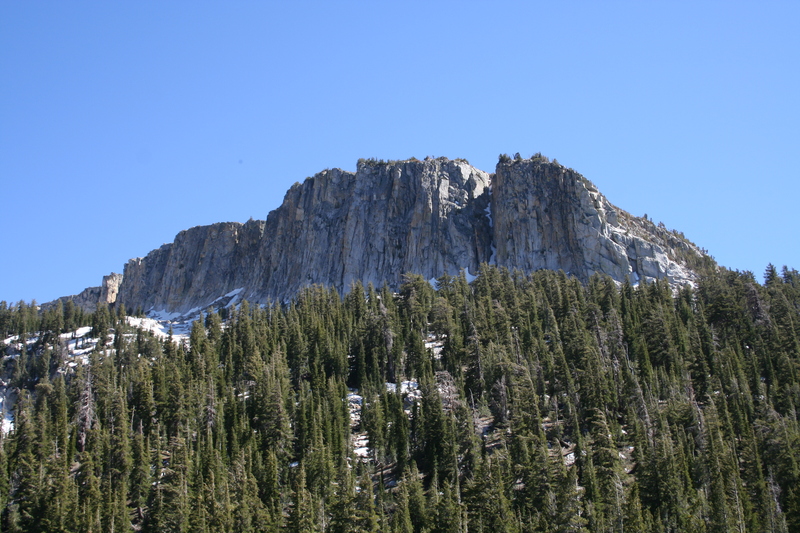 This is a high elevation hike, starting at just under 9,000 feet and climbing to just over 9,300 feet at your highest point so snow is a very distinct possibility in the shoulder seasons. 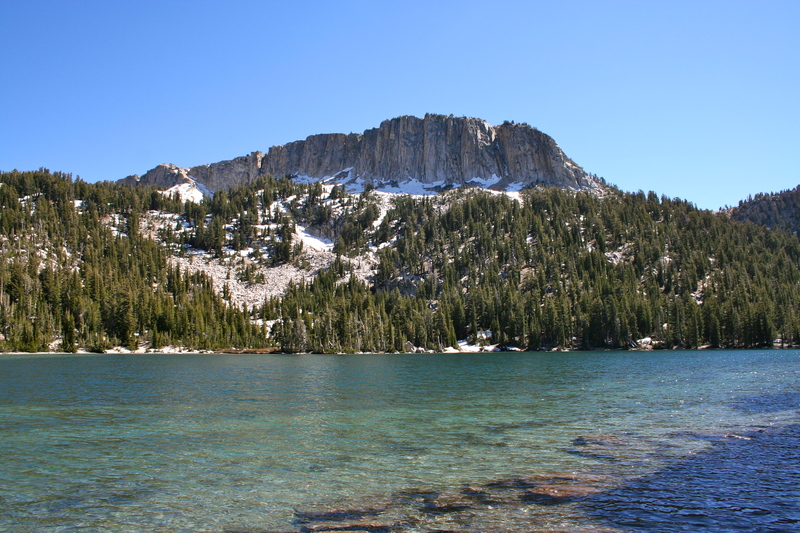 The trails and roads in this region generally open Memorial Day weekend, but depending on the snow and possible winter damage the actual date may vary greatly. 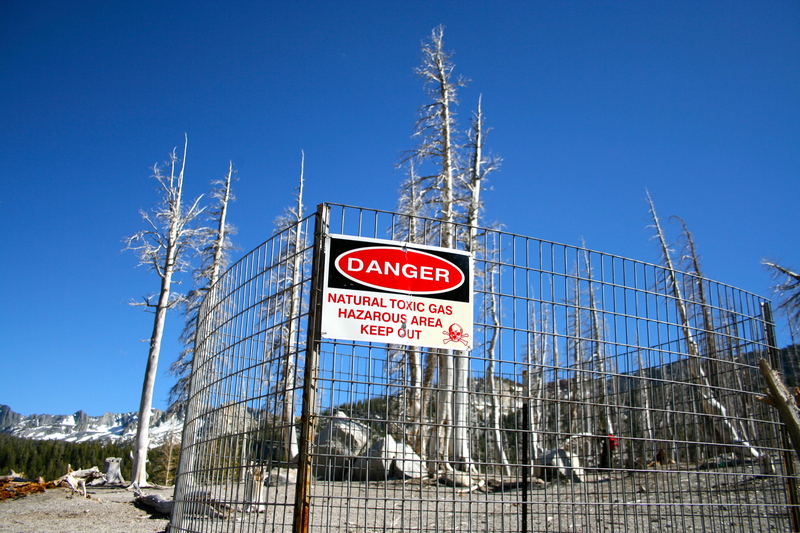 Be sure to check the official national forest Web site for up-to-date information before hitting the trail. 1. 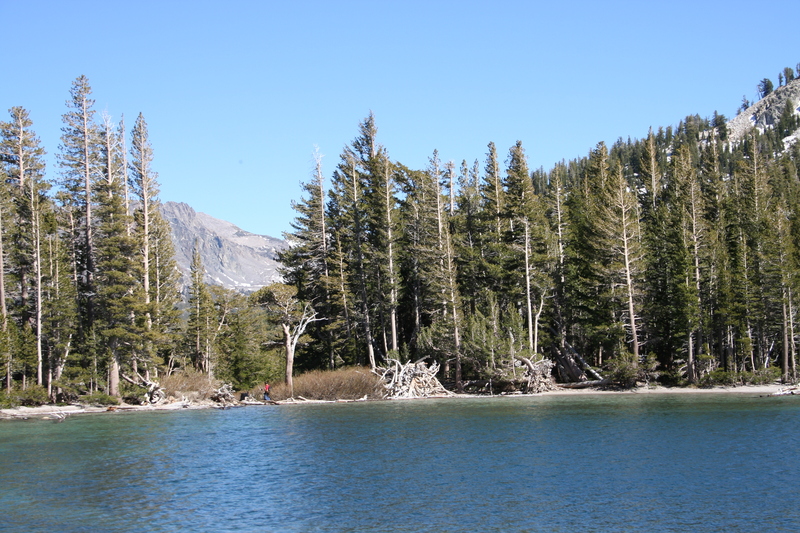 Park at the Horseshoe Lake parking area. 2. 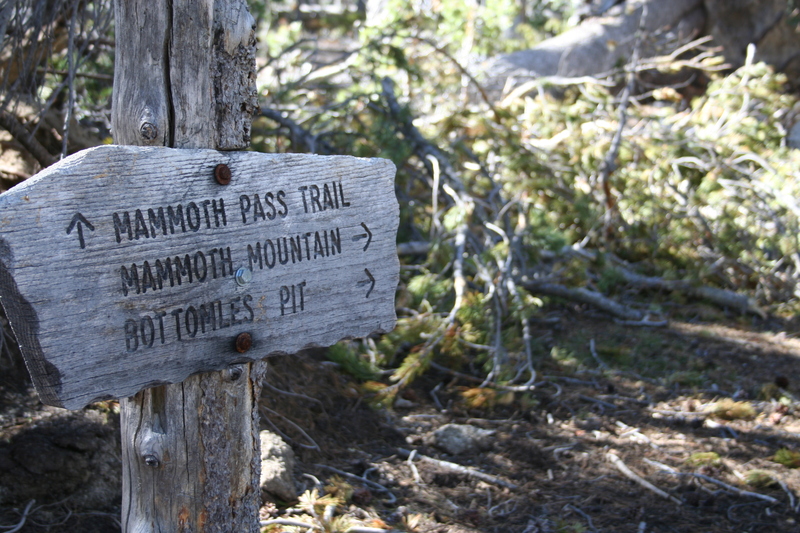 Follow the signs for the Mammoth Pass Trail that ascends through the barren forest beside the parking lot bathrooms. 4. Continue on the trail until you come to McLeod Lake itself in front of you. The GPS track shows coming to the lake, walking around it part way before returning back to the trail. 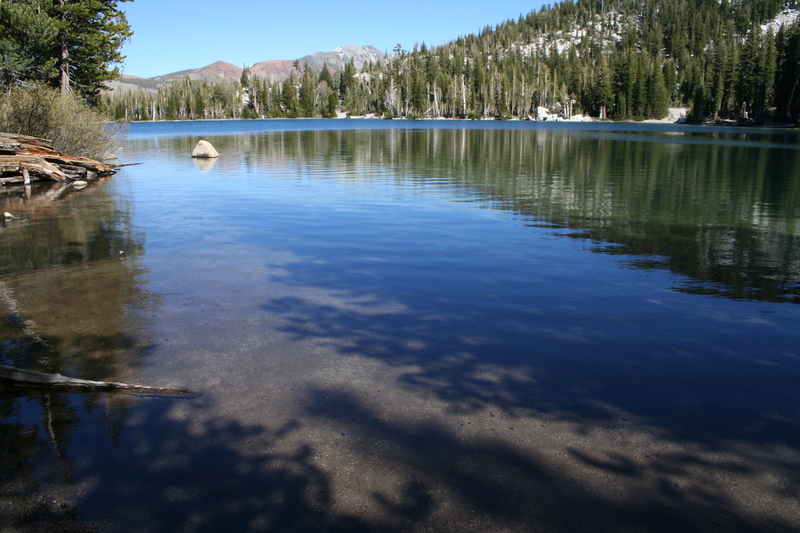 You can, if you want, walk the full circumference of the lake. 5. Go back to where you first saw McLeod lake in front of you and you’ll see a trail junction. 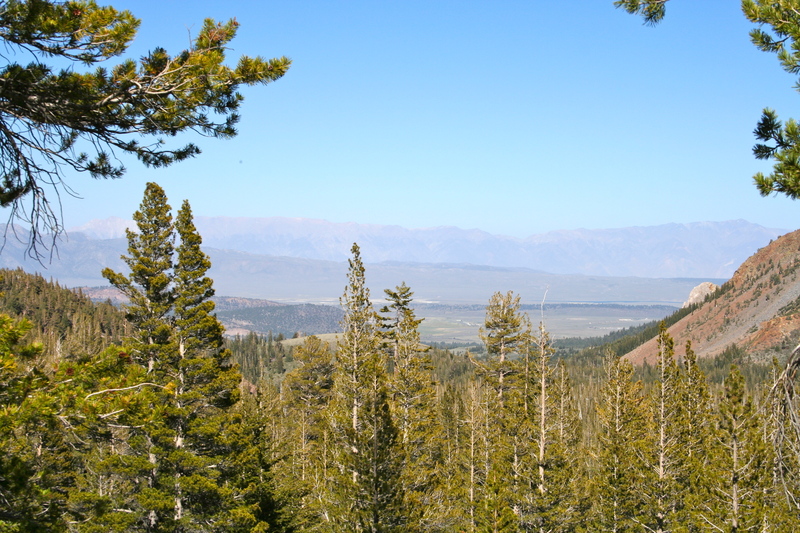 Follow the sign for “Mammoth Pass” and “Reds Meadow” uphill. 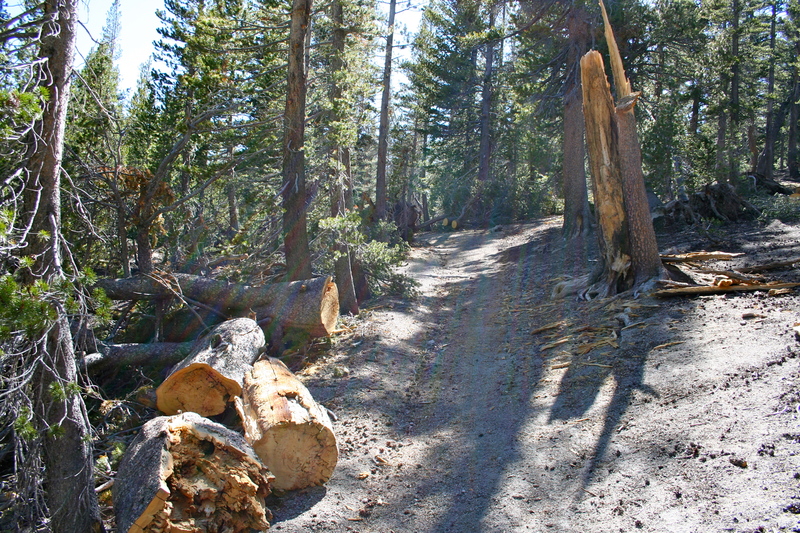 This connector trail will take you to the Mammoth Pass Trail. 7. Continue downhill to the parking lot. 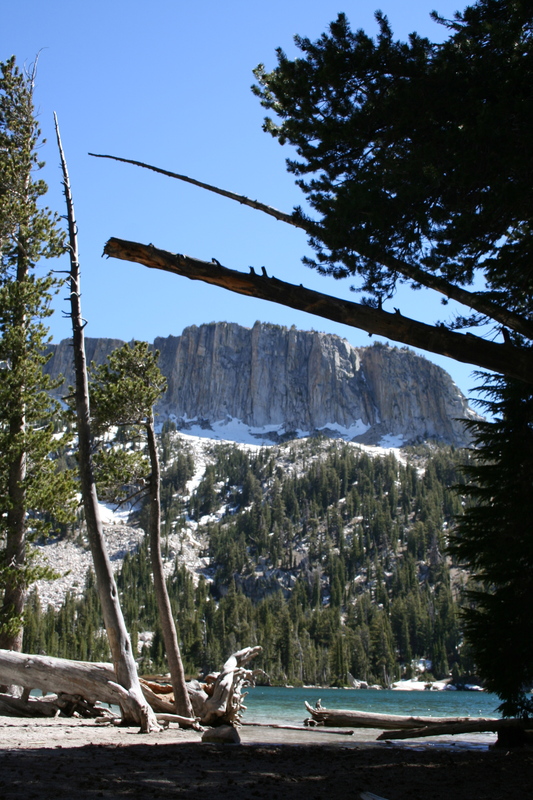 This hike does involve some uphill hiking at elevations above 9,000 feet. Having said that, I’d still consider it easy at such a short distance. 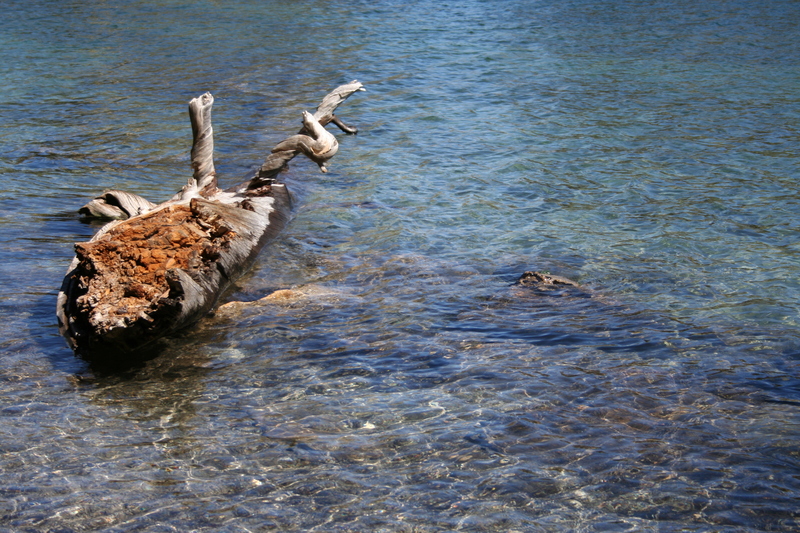 Take your time; altitude can make you more winded than normal. There are a lot of trails in this region and if you have a good trail map, like this one from Bored Feet Press, you can come up with many different hike combinations in the area. Here are just two alternatives to extend or shorten the hike. 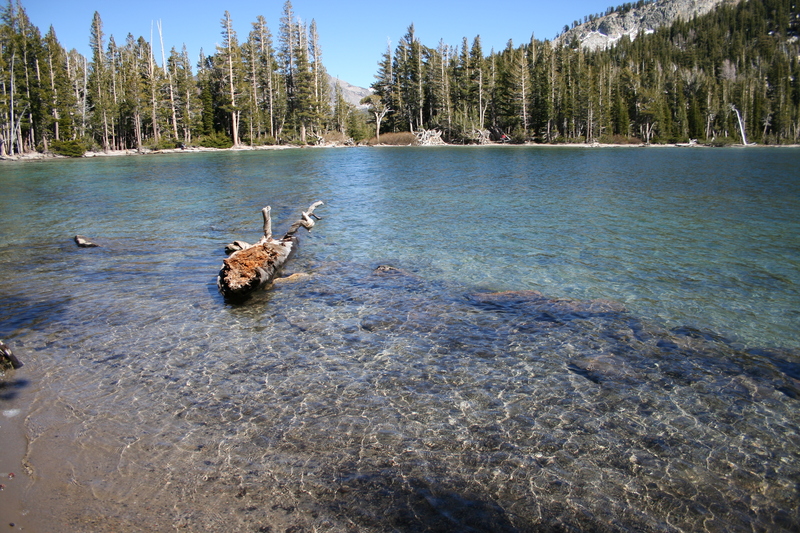 An easy extension for this hike is to walk the full circumference of McLeod Lake and also add a hike around Horseshoe Lake near the trailhead. 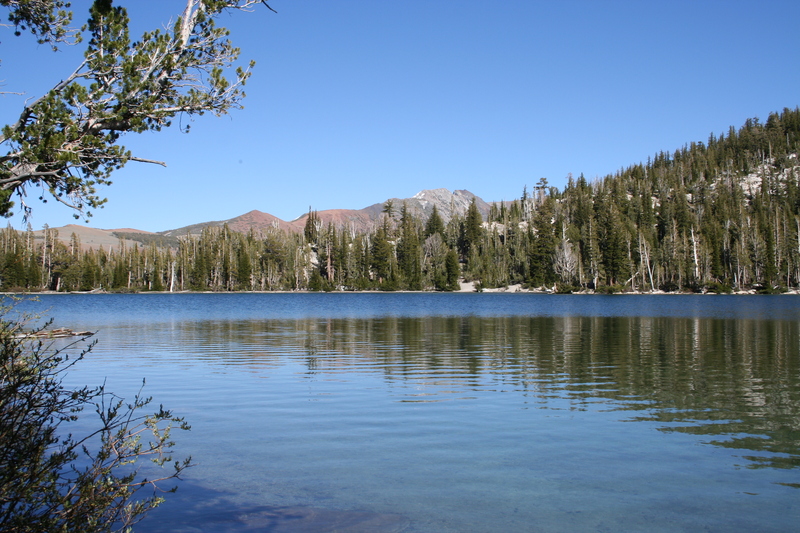 If you are looking for a really short hike, making this an out-and-back to McLeod Lake instead of a loop hike will cut the mileage down to a mere 1.2 miles roundtrip. Before heading to a high altitude destination, you should know the symptoms and what to do when you experience them. Learn more here. There is a large parking lot at Horseshoe Lake where Route 203/Lake Mary Road comes to an end.